In the latest Mary Skelter: Nightmares website update, get to know your support group from the Dawn Liberation Force! Plus, info on skill slots and the Blood Devolution function! 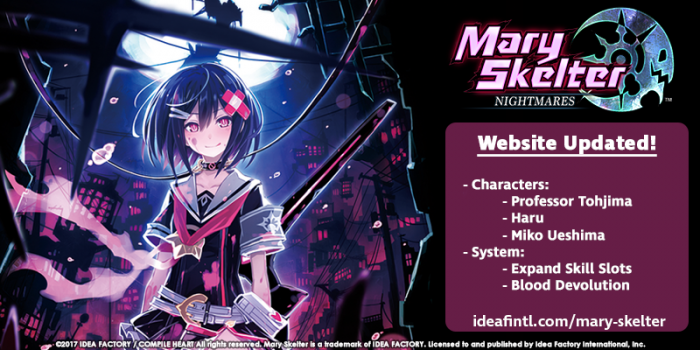 Mary Skelter: Nightmares is coming to the PlayStation Vita this September 19 (NA) / 22 (EU)!